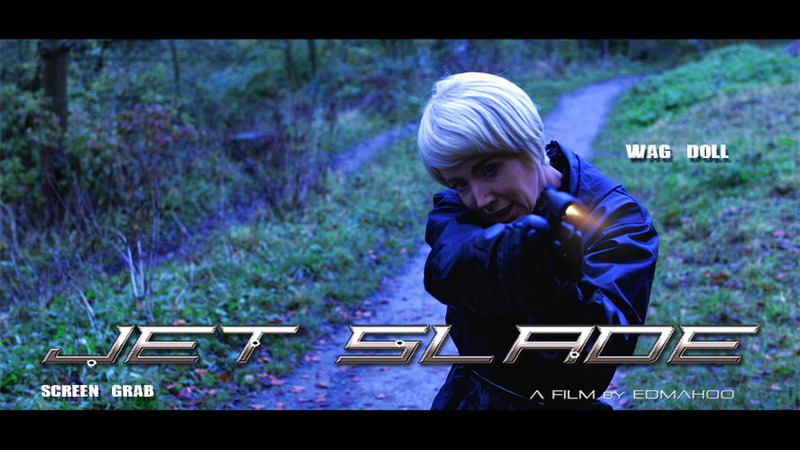 As we draw nearer to the final stages of production on Jet Slade: Rise of the Black Hood, we take a look and glimpse at lead actress Bridgit Houghton aka 'Wag Doll'. Born in West Yorkshire in her home town of Leeds, UK; Bridgit stars as Jet, a tough female operative recalled into service to investigate unusual occurrences that have ricocheted and affected the SLADE organisation, threatening an alliance that once was a force to be reckoned with. Not only that, something that happened in Jet's past has finally caught up with her. 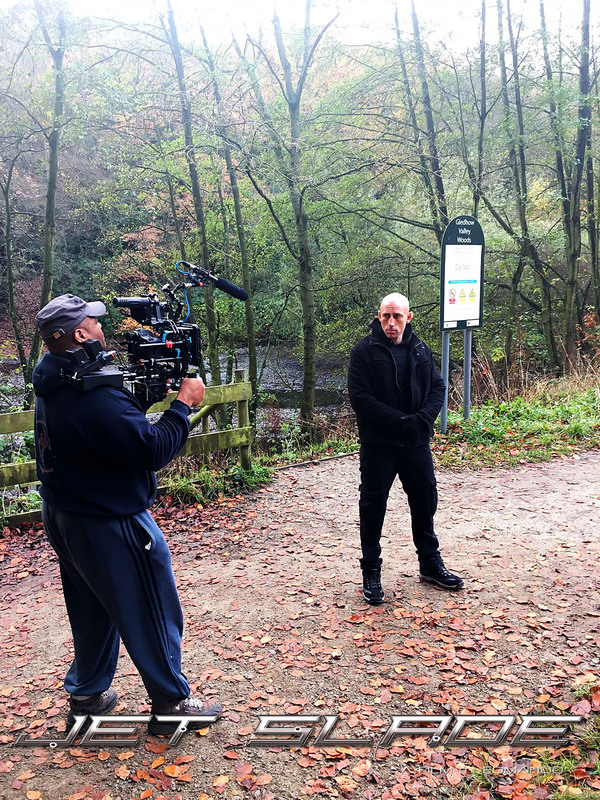 'What an exciting and a fantastic life for an actor, being able to dress up in different costumes and take yourself away, even if only but for a brief moment and portray someone else'. 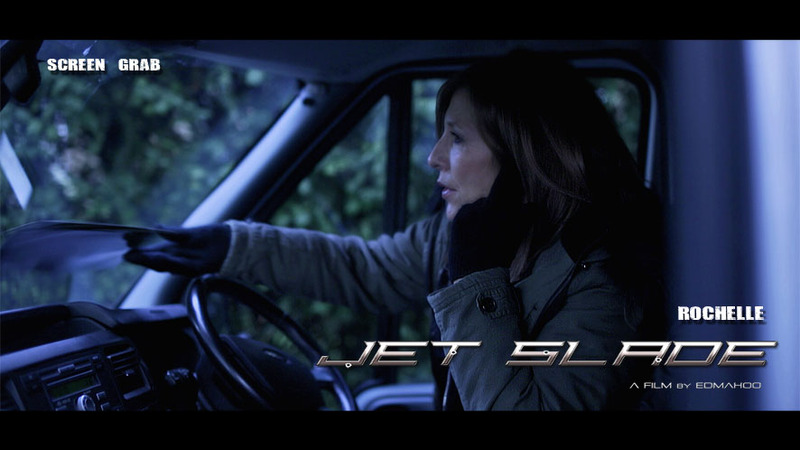 Will Jet be strong enough to face the demons that have returned to haunt her after all these years. As the plot thickens and the case starts to unravel, can she put right what she failed to do then and finally put her demons to rest... is it really that simple? 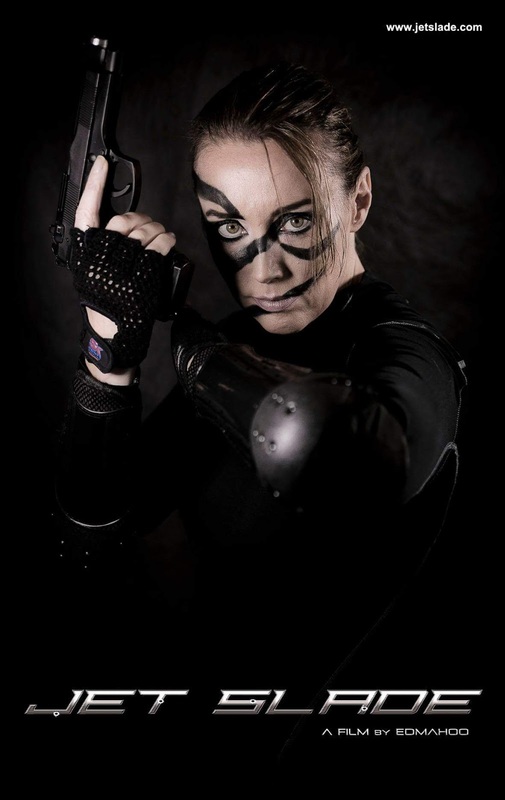 Or will she also face the fate and wrath of the dark cloud that threatens the city known as 'The Black Hood'. (Look out for an Exclusive new Explosive Trailer at the beginning of the 2017). 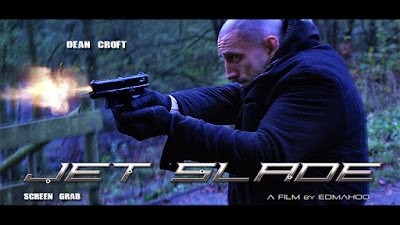 Jet Slade: Rise of the Black Hood is an original story written, produced, edited and directed by filmmaker from Leeds, Edmahoo. 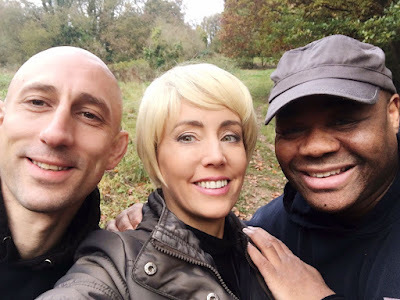 Ed first had the idea for his feature way back in 2012, he knew he wanted a female to play the lead character, someone who was willing to go through a transformation physically and mentally. He had worked with Bridgit prior on other projects and when it was time to choose his lead, she was already high at the top of the list. Just by viewing the clips above, you can see how much of a transformation Bridgit went through. 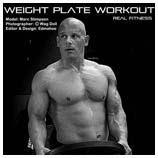 You can view detailed results on her website right here: FITNESS: The Wag Doll Protocol - Eating Clean and Looking Lean. Not only did Bridgit go through a physical transformation and with having no background experience what so ever, she went through fight training, body conditioning, martial arts training, self defence, boxing, weapons training and much more. 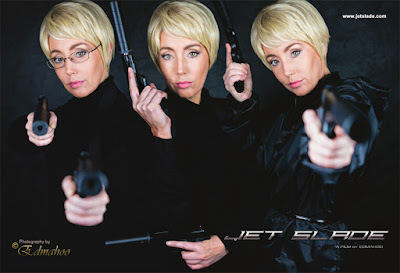 She really is enjoying the experience on what it takes to become an action film star and has learnt so much of the production side along the way. 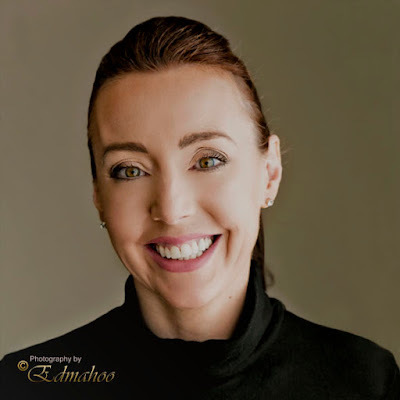 "It really and truly has been an honor and an absolute pleasure working with this wonderful and beautiful person. 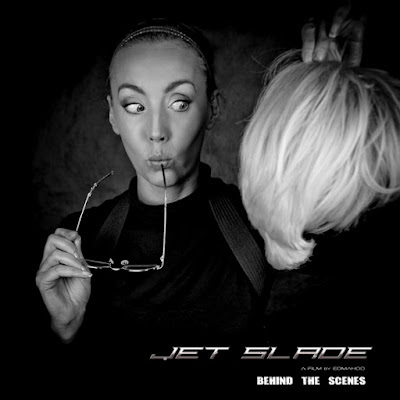 She truly has excelled my expectations and has brought my character Jet to life, of which I am truly grateful... She is a true professional!" 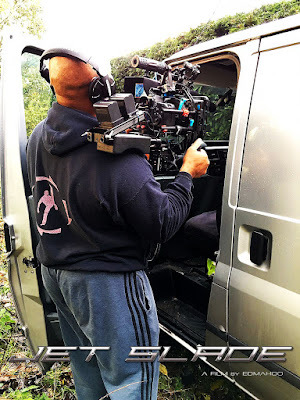 and more film updates as we draw closer to the ending of this exciting journey. 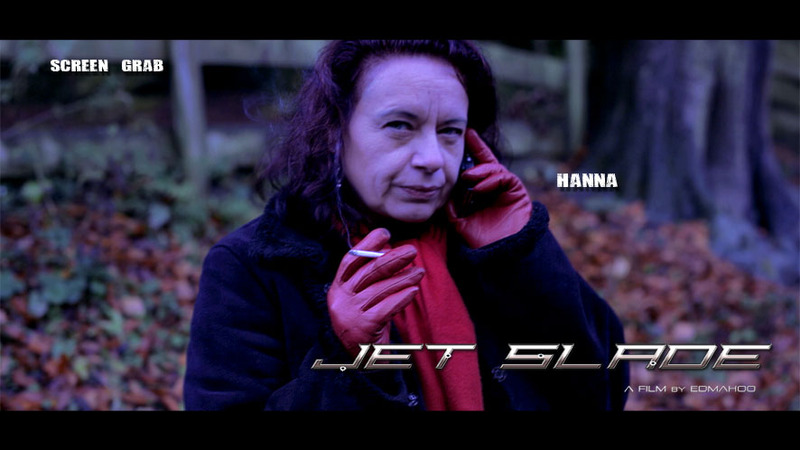 JET SLADE IS AN INDEPENDENT FILM CREATED BY 'SOLO FILMMAKER' EDMAHOO & HAS NO FINANCIAL BACKING WHAT SO EVER. IT IS DEVISED PURELY ON CREATIVITY & HARD WORK! 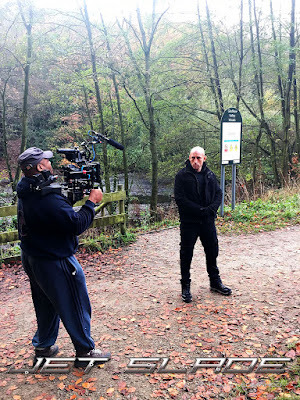 Screen Grabs and Behind the Scenes images from one of our recent film shoots. 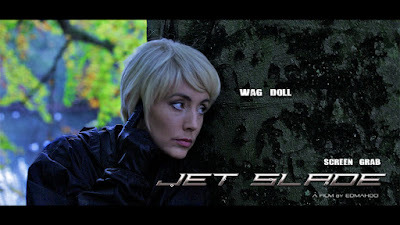 Lead Actress Wag Doll stars as Jet Slade. 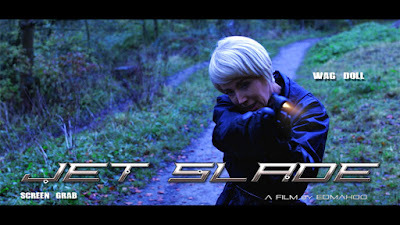 Rochelle Goldman stars as Chief Slade Enforcer. Dean Croft makes his debut appearance in Jet Slade. Wag Doll and Dean rehearsing their fight choreography. 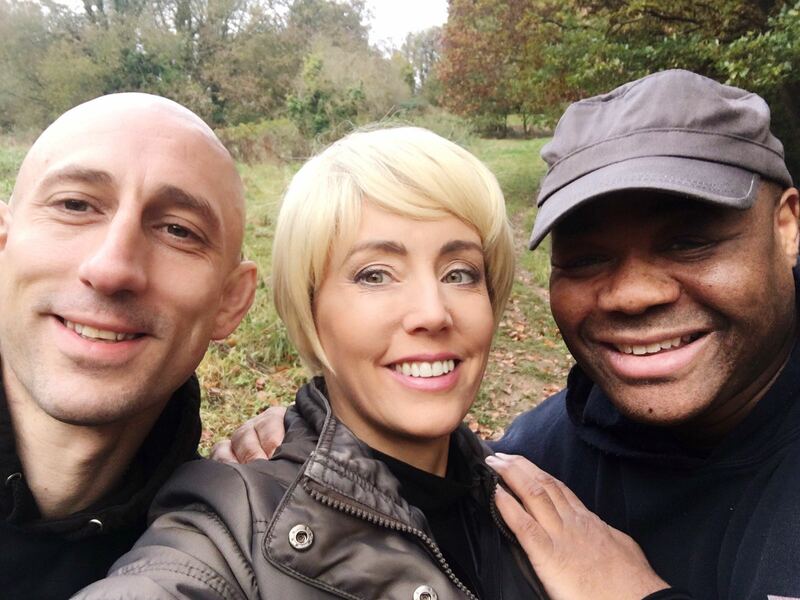 Thanks for viewing our page, look out for more exciting updates.